Mr. Babilis has been working in the shipping industry since 1990. He is the Chief Executive Officer of Stealth Maritime Corporation since 2015, while he also holds the position of Chief Operating Officer since 2011, working for the group since 2000 evolving from Superintendent to Fleet Manager and then Technical Manager. Mr. Babilis is also Deputy Chairman of the Board of Directors of StealthGas Inc, a NASDAQ listed company. Before that he worked in the Technical Department of Multi Trading, a Chemical Tankers company. He also worked as a consultant in the design of PMIS of Piraeus Port Authority in co-operation with Price Waterhouse and Port & Transport Consulting of Bremen-Bremenhaven, as well as a researcher in various EEC Shipping projects, a consultant to shipping companies and as a representative of the Technical Chamber of Greece to various Committees. Mr. Babilis has worked in the Operations Dept. of Trade and Transport Inc. and as a researcher for the research center of Athens University of Economics and Business and in the NTUA (Ocean Transportation Economics). He is a co-author of "Positioning and Diversification in shipping" (Research Center of AUEB1997) together with professor E. Mageirou of AUEB and Professor H. Psaraftis of NTUA. 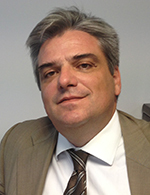 Mr. Babilis has served as General Secretary of the Hellenic Association of Naval Architects. He is a graduate of the National Technical University of Athens department of Naval Architecture and Marine Engineering.